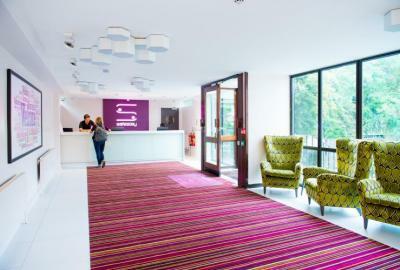 London – Hostels in London. Maps for London, Photos and Reviews for each hostel in London. Looking for a hostel in London? Look no further, all the good deals in London are on Dorms.com. Like thousands of other people every month, book your hostel securely at the best price in all neighbourhoods of London. On this site, you can easily find a hostel downtown, in a trendy neighbourhood; a hostel in the student- university district, close to bus or train stations, airports or major attractions of London. We had a problem with rooms following our reservation. The service immediately took charge and found a solution to make our stay a perfect one and we really want to thank them again. The team is listening, pleasant and dynamic! Superb nice hostel! Good reception and good stay in Clink78. Small room of 4 where you must not be modest or want too much privacy. Bar area, very friendly kitchen and welcoming staff. Sanitary rudimentary, but enough for the stay. I spent 3 nights in this hostel and I have no negative remark to make: the places are clean, the staff is nice and attentive, the travelers were respectful too, the decor is nice, the bar is very good. is just as much. I recommend. The most memorable was the sympathy of the staff AND the little Dej UNLIMITED for only 2 pounds! Fortunately the staff is very friendly (Anthony) to put a little sun in this establishment. 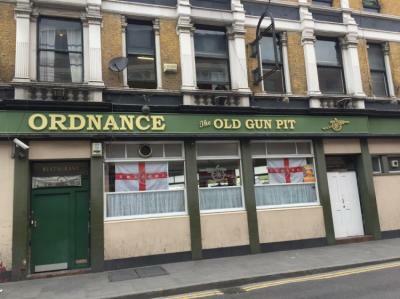 Special mention to managers of this establishment who are neither welcoming nor understanding. The boys of the staff are very good: very welcoming and helpful, especially Joe, a Neapolitan boy who, with absolute sincerity. he is the true soul of the hostel. Go and see that it is as I say. Except the manager of the hostel who treated me poorly, the rest was fine. Friendly hostel with very friendly staff. Our hostel is located in Nothing Hill gate, a 10-minute walk to the famous Portobello Road and right on the door step of Hyde Park and Kensington Gardens, home to Prince William and Kate Middleton! 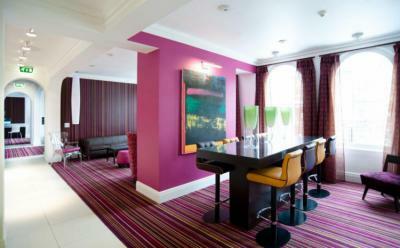 A charming, safe and beautiful area to explore London from, Astor Queensway is a home away from home. Located close to London and Europe's most popular Arena; the 02 Millennium Dome and Greenwich Mean Time, these are next door attractions, even before venturing beyond to central London. Other places of attraction are Buckingham Palace, Madame Tussaud's, Tower of London, London Eye and the London Zoo are just a short tube/bus or boat journey away. 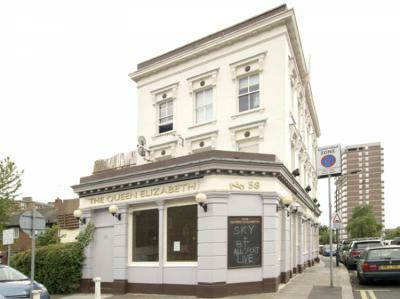 Well located accommodation in London, close to public transport (bus, metro ..). The neighborhood is vibrant and shops within 400 meters of the hostel. Correct breakfast but limited choice of products. Only small downside to the level of cleanliness of the room (humidity, dirty bathroom), despite this the beds are comfortable and the room quite large; the window did not close, fortunately it was very hot inside. I will recommend this accommodation for a short stay without a fuss! Stay at Safestay Hostel London Elephant & Castle and you’ll find Big Ben and the Houses of Parliament, the London Eye, Oxford Street and Leicester Square all less than 15-minutes away by tube. Tate Modern, the National Theatre, The Imperial War Museum, London Aquarium, London Dungeon, Shakespeare's Globe Theatre, the Kia Oval and the famous Ministry of Sound are all within 1.5 miles of the property. 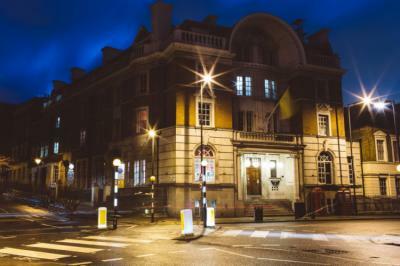 Stay at Safestay Hostel London Holland Park and you’ll be close to The Natural History Museum, Kensington Olympia, Portobello Road, The Royal Albert Hall and Science Museum. What’s more this unrivalled Zone 1 location means all of central London’s most famous attractions are only a short tube journey away. Dormitory for 6 people with shower and toilet clean and with the minimum comfort but practical. On the other hand, noise in the corridor throughout the night due to a group of children and young people visibly poorly supervised and despite our complaint at the reception. The living rooms much smaller in reality than in the photos and often full. While the wifi does not go into the rooms .. The hostel is clean and the beds are comfortable. The curtains allow to have a little privacy which is nice. The weak points: few showers and a noisy area. Remember to take earplugs if you want to sleep. Good value for breakfast. We arrived at night (29/10/17) due to the schedule of our flight. The two people who greeted us were very rude, not warm at all as we arrived with 5 tired children. Moreover, on the site of "hostel" we can not specify the number of children and we do not have the possibility to reserve a complete room. I booked 7 places so I could detail the reservation. On arrival we are told that it is not possible: that people have been dispatched and as they are children it is not possible to put them with other adults than parents. Is. very good, that's for sure, but I thought we were not separating the groups. But the booking site was not suitable? (To do !!!!) and in the meantime it was 1am .... In short, they finally found us a dirty and wet room ss élecricité. Good the next day they caught up: a room for us 7 (while at night they told us that we should find accommodation elsewhere !! (and I was tt settled by internet) In short, not a chic welcome at all but a good catching up which is certainly the manager, otherwise the place is very nice, the dining area pleasant, the lil bit perfect and the population heteroclytes and friendly.Another negative point: the baggage deposit is completely insecure (all the world has access to the code !!) and very dirty, I think we will not come back, but no regrets. An excellent address to discover London! 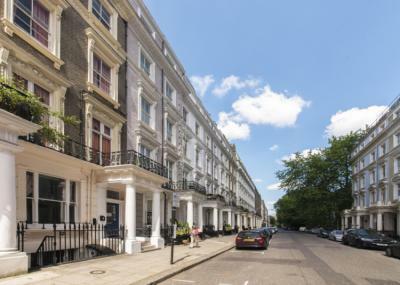 We are 10 minutes walk from the famous Baker street (with Maddame Tussauds and Sherlock Holmes history), with Regents Park slightly further East. Paddington and Marylebone are within 10 minutes walk, with Hyde Park an easy stroll south. Disgusting hostel there are no other words, rooms, beds, showers, toilets are extremely dirty. I paid for 4j 110 € for me and my friend, I stayed only one night (besides after 2mins in the bed I scratched everywhere because of fleas). I asked for the refund he did not want. I had to find another place to sleep because it was impossible to sleep one more night. This place should close. I put 1 star because we can not even put 0. Very attractive prices, pleasant multi-nationality atmosphere and warm welcome from the staff. The hostel is relatively well placed and it is easy to get to transport (metro, bus) or even start the day on foot! Possibility to leave luggage before check-in and after check out (for 2p symbolic). The beds are not new and creak a little but with earplugs it is largely bearable. However, even if you do not expect a luxurious stay, some things make you wince: cleanliness, stale air at the entrance and especially in the dormitories, a humidity that sullies the scores and bath towels that in addition to not dry maintain the musty smell ... Very limited ventilation possibilities, especially in a room on the 1st floor whose windows open only 1cm at most ... A cool shot would not be too much! Good hostel, nice staff. The beds are comfortable, but the bathrooms a little small. A logistical problem made me lose personal belongings that I found only in part, because everything went well. Staff Welcoming, very nice, smiling from the entrance to the kitchen. The information on the operation is well transmitted, the establishment is clean, calm. I would put a damper on the baggage deposit (super useful) that it is not well maintained and that users do not respect. 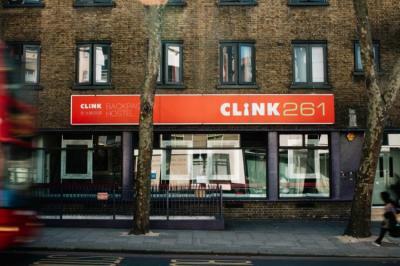 Hostel ideally placed for your arrival in London. First experience in hostel and everything went well. 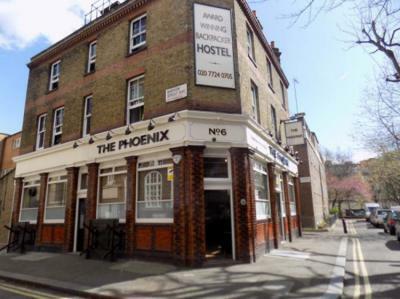 Unbeatable price / quality ratio for this location in London!